In the past few weeks, AA RealtyPro Solutions have been given opportunities to value condominium properties in the two most prestigious and prime location in the country- Makati Business District and Bonifacio Global City. Both have been the center of high commercial centers, land values, and property development. AA RealtyPro Solutions have observed the differences among the luxury condominium units in BGC start at 218,693.22 per sq.m. and go for as much as P231,554per sq.m. Residential units in Makati City price ranges between P275,362.32 to P320,855.60 per sq.m. Previous projections have set Fort Bonifacio, the new city that has risen from a former military camp in just a decade, to become the country’s top commercial business district, eclipsing the Ayala Center in nearby Makati City. But latest figures culled in research by AA RealtyPro Solutions have shown the dominance of Makati in terms of condominium prices. Based on research, state pension fund Government Service Insurance System sold its two lots in Fort Bonifacio with land areas of 1,600 square meters (sq.m) each to Focus Palantir, Inc. and Goldenwill Inc. with a price of P500,000 per sq.m and P458,000 sq.m, respectively. While property developer Ayala Land, Inc. also bought the JAKA Tower in Makati for an undisclosed amount, the price range of which is estimated to be between P500,000 and P560,000 per sq.m. As a result of these transactions, average land values have climbed in the three business districts. Makati remains the dominant CBD, while BGC will keep on challenging it not only as the premier business district but also the center of most expensive real estate development in the country. AA Appraisers attended the seminar on complex property valuation in Bangkok, Thailand. The seminar was hosted by Thai Real Estate Business School, under Dr. Sopon Pornchokchai. Dr. Sopon Pornchokchai has had experience in real estate research and valuation since 1982. He is an experienced valuer and lecturer on valuation at the undergraduate and graduate levels and in training courses in Thailand and abroad. He was a consultant to the ESCAP, UN-Habitat, World Bank and other international organizations. He gained a Ph.D. in land and housing from the Asian Institute of Technology (AIT) and had further property valuation training from LRTI-Lincoln Institute of Land Policy and in housing development from Katholieke Universeit Leuven (Belgium). The seminar includes topic on valuation of Agarwood plantation in Cambodia; small commercial airport valuation; An irrigation & electricity generation dam; A green building of USD 300 million; A 5-star hospital in Thailand; A Business Hotel in Brazil; Wholesales fresh market; gold mine valuation; Market feasibility study of a new township; Pipeline valuation; A valuation case of pretties; A public park and opportunity costs in Nepal; A resort in Vietnam; A gigantic shopping mall of 4.3 million sq.feet; A rundown shopping centre in Laos; Valuing a slum in Jakarta; A toll road valuation case study in Bangkok; and valuation of train stations. During the conference, along with his PAREB delegates, Prof. Gus connected with other participants and engaged in conversations about the practice of valuation in their own countries. The conference also provided the participants with an opportunity to hear about the different approaches in income valuation like the residual method, Corregidor factor, free cash flow enterprise, free cash flow equity, capital factor derivation, cap rates, weighted quality scores, weighted average cost of capital and capm. “These learnings have increased my knowledge and elevated to a new and higher level on the value of income approach and other method.” The owner of AA RealtyPro Solution have said. “It connects my professional practice and academe life. Having taught finance and economics, I appreciate the application of different tools in solving practical problems in complex property valuation”. There are two income-based approaches that are primarily used when valuing a property, the direct capitalization method and the discounted cash flow method(DCF). These methods are used to value a property based on the amount of income it is expected to generate in the future. Both methods are data driven. The Direct Capitalization Method is most often used when a property is expected to have a relatively stable level of margins and growth in the future – it effectively takes a single benefit stream and assumes that it grows at a steady rate into perpetuity. The Discounted Cash Flow method, on the other hand, is more flexible and allows for variation in margins, growth rates, debt repayments and other items in future years that may not remain static. I have valued an income generating properties in different parts of Cebu and nearby provinces and applied both the direct capitalization and discounted cash flow method. Based on the comparable properties and research, I used varying future growth rates (estimating the population growth, property value appreciation, risk and income). In using this approaches to value, I put my shoes in my investor client. The motivation for the acquisition of property is to generate income. In the discounted cash flow method, the value of a property is equal to the present value of its projected future benefits (including the present value of its terminal value). The terminal value does not assume the actual but rather represents the point in time when the projected cash flows level off or flatten (which is assumed to continue into perpetuity). The amounts for the projected cash flows and the terminal value are discounted to the valuation date using an appropriate discount rate, which encompasses the risks specific to investing in the specific property being valued. Inherent in this method is the incorporation or development of projections of the future operating results of the subject property. In using the income approach to valuation, it is important to have a grasp on the present value factor; capitalization rate; to arrive at the present value of the property appraised. After the number crunching of the income statement and other financial documents, an appraiser can get the cash flow in a year and can model the succeeding years on the assumption that it will generate the projected income and growth, either steady or vary in several years. Income approach is a tool in valuation that an appraiser can continue to harness and be proficient in arriving at a credible and defensible appraisal. I remember a lecturer in a government assessors seminar, in referring to the application of income approach to valuation. He said, “Private appraisers are more advanced in the applications of different methods in the appraisal. They can apply even the income approach.” Thus, we have to prove it, in practice. The Philippine Association of Real Estate Board paid a courtesy call to Bangko Sentral ng Pilipinas (BSP) Governor, Nestor Espenilla Jr. PAREB discusses the current situation of real estate appraisers and the need to review the BSP guideline on accrediting appraisal companies. The BSP Governor encouraged PAREB to submit a position paper. PAREB was headed by President Rey Cartojano, Senior Vice-President Moby Arquiza, Appraisal Committee Chairman Gus Agosto and VP Irene Ofrecio. Also present were the San Juan Real Estate Board Officers. Bangko Sentral ng Pilipinas is the central bank of the Republic of the Philippines. Real estate appraiser Gus Agosto kicked off the Appraisal Seminar Series on July 16, 2018 at the PAREB Center, Pasig City. Real estate appraisers and professionals attended the event hosted by the Philippine Association of Real Estate Board, Inc. In his presentation, Agosto shared his real estate appraisal projects and addressed issues and trends in appraisal practice. As a practicing and principal owner of AA Property Appraisal, which is primarily based in Cebu City, Agosto has developed an extensive experience in the appraisal of commercial, residential, special purpose, and industrial properties in different part of the country. Agosto has valued properties of country’s top corporation and institutions such as General Milling Corporation, SMC Lighterage, PTT Corporation, Vivant Power Corporation, Pilipinas Water, and University of the Philippines, Southwestern University, United Church of Christ and many more. Agosto is a graduate of Bachelor of Arts in Economics and studied Masters of Arts in Economics. He is a licensed real estate broker, appraiser, and environmental planner. He is also a faculty member at the University of San Carlos, School of Business and Economics. Series of lectures on appraisal that will be conducted include the seminar on how to conduct market research, economic situation, Philippine Valuation Standards, pricing strategies in real estate, highest and best use analysis, mastering site and cost approach, mastering income approach, valuation of complex properties, appraisal report writing, using technologies in appraisal and more. The seminar/lecture was made possible by Philippine Association of Real Estate Boards, Inc. through its President Rey Cartojano. 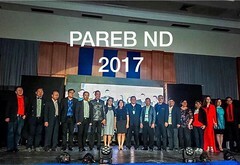 The Philippine Association of Real Estate Board (PAREB) gathered its appraiser-members in NCR-Luzon to strengthen their voice and be united under the PAREB Appraisers brand. The session was graced by Philippine Regulatory Board of Real Estate Service (PRBRES) Chairman Eduardo G. Ong. Facilitated by Appraiser Gus Agosto, the session was attended by members of different PAREB local boards such as Baguio, Pangasinan, Manila, Rizal, Pasay-Makati, Lucena, Batangas, Cebu, Davao, and Palawan. The desire to practice the profession is high as challenges to provide opportunities persist: There are problems on how to start practicing the profession. One challenge highlighted is non-acceptance of appraisal without accreditation from Banko Sentral ng Pilipinas. PAREB should lobby with BSP and other agencies to amend policies and let members participate in the appraisal of government projects. Develop mentorship. Few seasoned appraisers are doing mentorship, while there are demands for every major city to have mentors for new appraisers. There should be a meeting for mentors and discuss the guidelines in mentorship. Appraisal education. To heighten the capacity of every member, there should be a continuing education on the appraisal. Workshops on actual appraisal should be conducted on various boards to promote excellence worthy of the PAREB Brand of Appraisal. Sharing of database and opportunities. The appraisers have been united to foster unity in exchanging data and opportunities. An efficient referral system has been worked out. PAREB Directory. The advantage of PAREB is its presence in every major city of the country. The directory will help clients to connect directly to appraisers. Since it is listed per locality, clients can easily connect appraisers in the locality where the property is. The current list should be updated and should include the new members.